Sometimes losing a friendship can be more painful than losing a lover. Every close your eyes and imagine another life, free of commitments, aggravations...and maybe your own family? I write novels with “unlikable” women, in part because I worry too much about being liked myself. An essay about falling in love, breaking up, and buying a house. A personal essay about baking pot brownies for my dying grandmother. 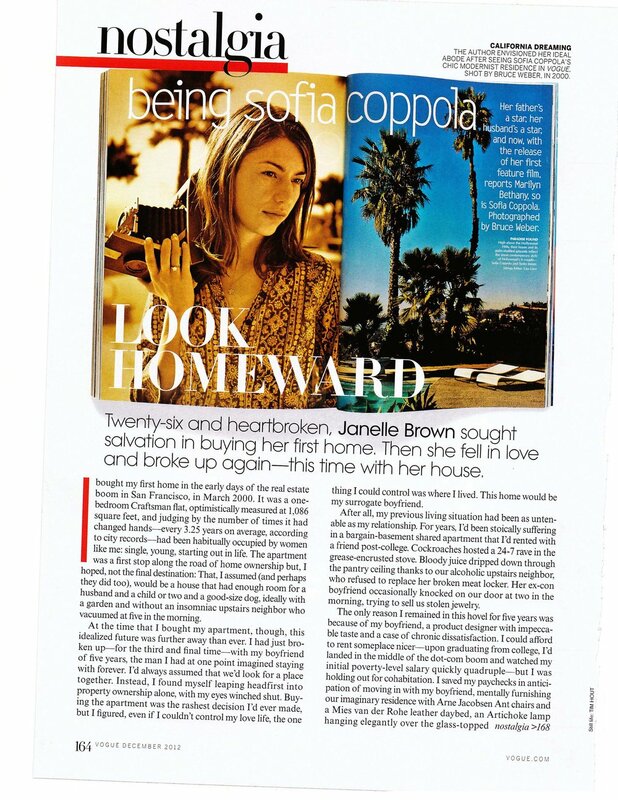 Remembering how a college romance inspired a sense of style. Their Little Secret, But for How Long? Brother, can you spare a dime for my Gucci bills? Cyber-begging fuels the new philanthropy, in which brand, beauty and instant karma matter most in raising funds. A Web-based pro-anorexia movement provides a bizarre support network for starving girls. Lizzy Borden, whose ultraviolent films feature women being beaten, raped and doused in vomit, insists that she is a gender pioneer whose repellent movies are morality tales. The glory days of geek drag racing may be over, but hotshot hackers are still revving their engines. Activists are flocking to the West Bank to serve as human shields, protecting Palestinians and protesting the Israeli occupation. Are they part of the solution or part of the problem? If the Supreme Court rules in favor of drug testing in public schools, will students come clean? Kids at schools in Indiana, where drug tests rule, say no way. 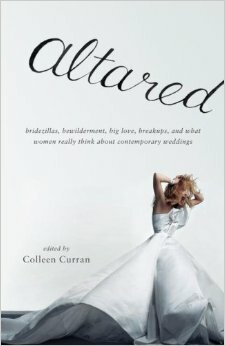 ALTARED: Bridezillas, Bewilderment, Big Love, Breakups, and What Women Really Think About Contemporary Weddings. My essay takes a look at how my husband and I survived the registry process, and why the gift-giving process at weddings reflects back our most idealistic and unrealistic fantasies about married life.